The terrorist demands only lack a paid vacation on the Riviera with their families. Don't worry, the PA will take care of that. There are about 5500 Palestinian Arab prisoners in Israeli jails, most of them sentenced to prison terms for security-related offenses, including murder, planning terror attacks and funding them. Almost every one of them was convicted in the courts, with a few under administrative detention. Every so often, they demand an upgrade in their living conditions and if these demands are not met, there is always someone who launches a hunger strike in order to put pressure on Israel to capitulate. For years, mainly due to the prisoners' ability to have mobile phones smuggled into their prison cells, there has been close contact between the terrorist prisoners and the civil and political system outside the prison walls. In many instances, the heads of the PLO and Hamas make decisions after receiving the acquiescence of what they called the "Jailed Movement." The PA government has a "Minister of Prisoners" whose sole task is to take care of their needs and help their families. It is important to note in this context that the terrorists see themselves as freedom fighters, not as criminals, and are therefore do not use the Hebrew term for prisoners (asir) when talking about themselves, using instead the term for prisoners of war (shavuy). They are divided along terror group membership lines, PLO, Hamas, Jihad, Popular Front and others. Disputes among the different groups are reflected in how the prisoners get along with one another. Often, the prison service assigns prisoners to rooms according to their organizational affiliations, in order to prevent conflicts within the prison walls. The uninterrupted contact the prisoners have with the outside world has led to their deep involvement in political and public processes taking place in the . Palestinian Authority. There are various ways in which this is accomplished. as some put their names up for election, some vote in elections, and others relay instructions for terror attacks from jail. They constantly ask their friends on the outside to kidnap Israeli soldiers or civilians to be used as bargaining chips for their freedom. The PA continues to use government funds to pay thousands of shekels monthly to families of prisoners. Prisoners have held several hunger strikes since 1969 – they called strikes in 1972, 1980, 1986, 1992, 1999, 2004 and 2012, every six years on the average. The last strike was called five years ago, so the idea of a hunger strike is nothing new. This time the event was set off by Marwnan Barghouti, head of the Fatah organization in Ramallah, who announced the start of a hunger strike. Born in 1958, Barghouti represents the intermediate generation of Fatah leadership and is 22 years younger than Mahmoud Abbas. The fact that he is from Ramallah, in contrast to Abbas who was born in the Galilee city of Tsfat (Safed), grants him legitimacy that Abbas lacks. Barghouti was captured in 2002, during the apex of the second Intifada and in 2004 was sentenced to 5 life sentences and another 40 years for the murders he was convicted of committing. 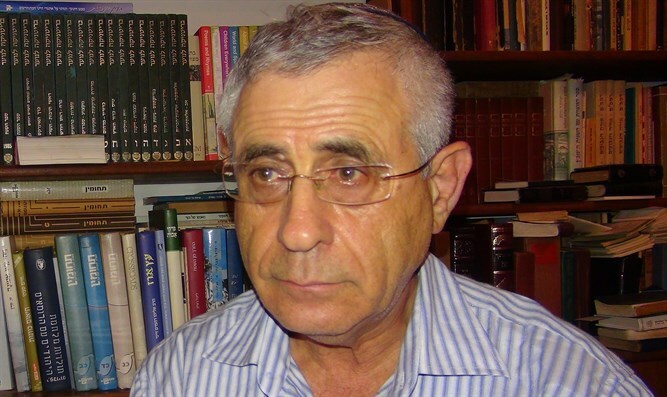 The liberality of the prison services allowed him to meet visitors freely, thereby making it possible for him to lead a political life from within his cell and to top it all off, run for a slot on the PLO Central Committee where he took first place – although he was in the middle of a life sentence without eligibility for parole. Israel did not ask itself what the election of a convicted murderer and terrorist to the top job in the an organization reveals about the organization that elected him. Is this organization, one of the PLO's main institutions, worthy of negotiations and of a state? What does this say about the organization's leader, Mahmoud Abbas, who allows a convicted terrorist murderer to put his name on the list of those running for the position of organization head? Despite Barghouti's election victory, he was not given a decision-making position in the PLO. For him, that signals his being pushed to the sidelines, an especially important issue now that there is an ongoing search for a successor to the current chairman. Abbas has been PA chairman, PLO head and Fatah leader since Arafat's death in 2004. A good many prisoners, mainly those who are not Fatah members, feel that Barghouti called for the hunger strike for personal reasons – to climb a bit higher on the leadership ladder, without taking into account the sufferings of other prisoners. That explains why only about a sixth of the terrorist prisoners announced that they would join the strike. It is worthwhile to mention that in the past, many prisoners announced their participation in hunger strikes but continued eating as usual, in private. Without a doubt, within the prison walls, there is a struggle going on between the state and groups of terrorists. On the surface, it seems as though the state has the upper hand and can do as it wishes inside the prisons, but the situation is actually much more complex than that. The state is not interested in pushing the jailed terrorists to the point of desperation and violence that could ignite the streets of the Arab cities in Judea and Samaria. On the other hand, the state cannot allow murderers to run the prisons. Having public pay phones available for all Palestinians jailed in every section of every Israeli jail in order to allow humanitarian contact with relatives (After former MK Basal Ghattas was caught smuggling mobile phones to terrorist prisoners, this important source of phones dried up and that is why it is first on the list). a. Reinstatement of the cancelled second Red Cross visit. b. Visits every two weeks with no cancellations allowed to be authorized by anyone..
c. No banning of any first or second degree family member from visiting a prisoner (even if the relative is not allowed to enter Israel because of his terror involvement). d. Doubling visiting hours from 45 minutes to 1.5 hours. e. Permission for prisoners to be photographed with their families every three months (for the social networks). f. Installation of equipment for the benefit of visiting family members at the entrance to the prison. b. Putting an end to the policy of medical neglect. (Why not sue for this through the courts?). c. Regular medical checkups (Can't they go to court for this as well?). d. Performing surgery quickly as is done in the case of emergencies (Let the Israelis wait for their turn, as they do interminably now, but not convicted terrorists...). e. Allowing specialists into prison clinics. f. Freeing seriously ill prisoners as well ss those who are handicapped or suffering from life-threatening diseases. g. Not charging prisoners for medical care. Acceding to the demands of female priisoners and to their needs, allowing them to have gender separate transportation and direct contact without any barriers during visits. b. Returning prisoners to tbeir cells from clinics and court appearances instead of letting them off in halfway houses. c. Refurbishing the halfway houses and serving refreshments there. 6. More satellite channels, adding those that the inmates want (like Jihad media channels, al Jazeera from Qatar, Hamas-run al Aksa, Hezbollah's al- Manar and Iran's al-Alam). 7. Installing air conditioning in prisons, especially in Meggido and Ramle. 10. Putting an end to the policy of solitary confinement. 11. 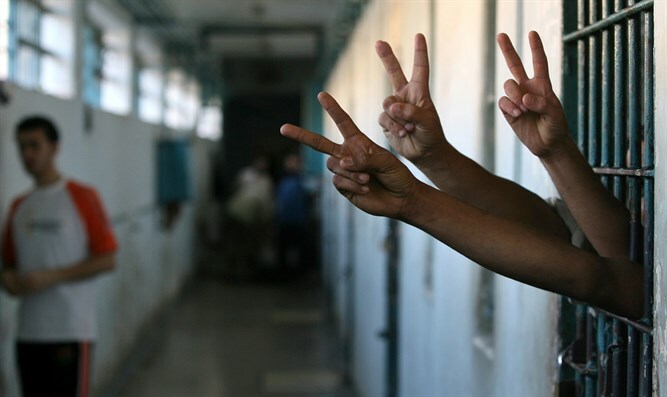 Putting an end to administrative detention (so that Israel will be forced to expose its anti-terrorist intelligence network in the courts, thereby burning the sources from which the IDF learns about terrorist activities). 12. Academics: Reinstatement of the Hebrew U's Open University courses (what's wrong with Arab universities like Beir Zeit or Alnajach?). 13. High school: Official permission to sit for Israeli matriculation exams (one must always plan for the future...). a. In what country anywhere in the world would terrorists, convicted murderers, dare to demand these things? b. What normal country would allow itself to give in to these demands - or even to enter into serious negotiations about them?